Here is such a cute Whatsapp Dp image to set as your Whatsapp Dp for free. 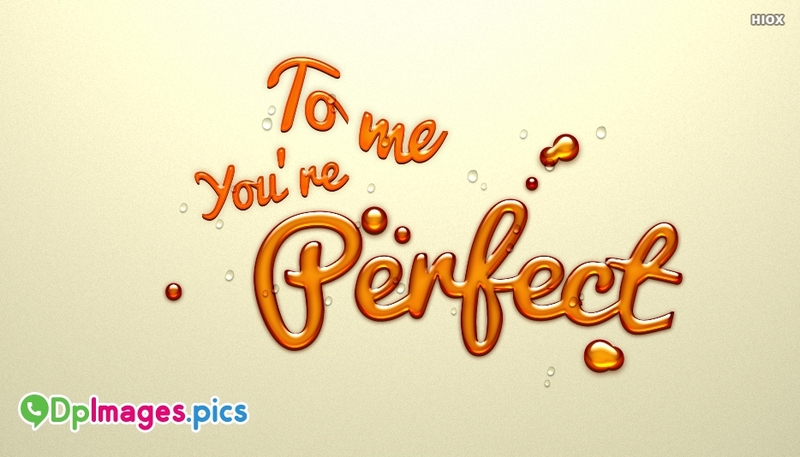 This picture portrays the image of the text "To Me, You're Perfect" in a beautiful design on a light background. You could free download and share this beautiful Dp image and express your opinions and mood to this world.